In 1885 the tomb of Ptahmes, some 3,200 years old, was unearthed in Egypt. This tomb belonged to an important personage, the mayor of the city of Memphis during century XIII a. C. The tomb disappeared under the sands for 125 years, when it was again found and, in it, its magnificent treasure. Among all the items, some broken vessels are those that have attracted the most attention. A whitish mass, in particular, speaks of a very special product of history: what is probably the oldest cheese we know. And, in addition, it hides a dangerous enemy of our health, put in the spotlight next to the recent fashion of taking raw milk. Probably the remains of a solid white mass, between a broken vessel, were quite surprising, but not at all flashy, in the eyes of the first people who rediscovered the tomb. However, for the expert look of an archaeologist, this disturbing substance had to mean a lot: organic remains? Tallow? A votive oil? Cheese! Or that indicates the analyzes published in Analytical Chemistry. Everything points, although it is necessary to confirm the finding, that the substance is what remains of the oldest cheese we know. 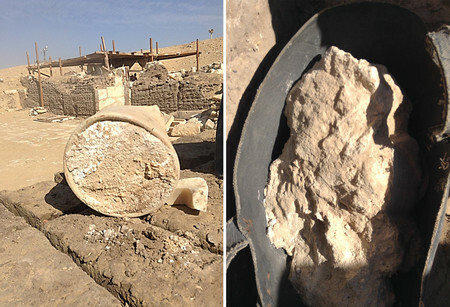 This was the mass found in the tomb of Ptahmes, the oldest cheese in the world. This result is inferred from the chromatography and spectrometry performed on the sample. To do this analysis a piece of the substance is taken, dissolved and passed through a chromatograph and spectrometer. The first separates the components of the mixture and measures the proportion of these. These components are usually proteins, complex molecules and elements. Then, the spectrum that each of the substances produces is analyzed, so that the composition or nature of these can be known with great precision. Thus, researchers have discovered that the whitish substance was a dairy product, because they have found the peptides of sheep's or goat's milk. But to conclude that it was a cheese they have had to go further: in the sample also have been found textile remains of what could be a fabric that wrapped it, and no molecular marker typical of other products, as they indicate, so that everything points out that, indeed, we have found the oldest known cheese. But, besides the cheese, in this substance there was a very dangerous stowaway cop. In addition to the remains of cheese, in this substance has also been found a specific marker of a dangerous bacteria and causing the so-called Malt fever, Mediterranean fever, rippling fever or brucellosis. This disease, virtually eradicated in Spain during the last 100 years, at least, produces a clinical picture that can have severe consequences, including death, among the victims. The bacteria, Brucella sp. It is a great known among microbiologists, veterinarians and nutritionists. Currently the vast majority of brucellosis are given by a zoonosis, that is, by a contagion from animals, something rare but possible. However, the recent Catalan decree allowing the sale of raw milk has aroused misgivings among food safety professionals. 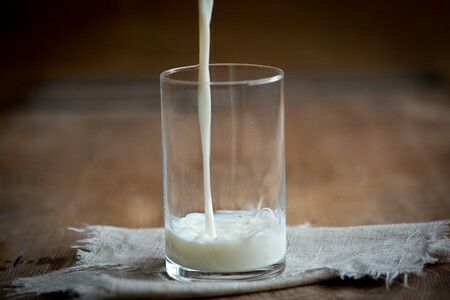 According to many of these experts, the sale of raw milk is dangerous and revives the danger of suffering from this disease controlled to date. As explained by our colleague, Javier Jimenez, the sale of raw milk is also subject to commercial interests that could be detrimental to food safety due to misinformation and despite the regulatory intentions of the Generalitat de Catalunya. Specifically, the Brucella species found in Egyptian cheese is B. melitensis. As we said, we still need to confirm the proteomic data of the sample. But if that were the case, we would be not only with the oldest cheese in the world, but also with the sample of brucella in an older dairy product that we know. That is, this would be the earliest informed biomolecular evidence of brucellosis that we have been able to confirm. With all this information, in addition to the knowledge itself, researchers can better understand the food industry of thousands of years ago, acquiring new dating markers, learning more about how they lived in ancient Egypt as well as determining the type of food, or the funerary customs, which determined the life of more than 5,000 years ago.